Snowbird, the collaboration between former Cocteau Twins bassist (and Bella Union head) Simon Raymonde and singer-songwriter Stephanie Dosen, will release their debut album, Moon, on February 4. You may have already heard “Porcelain” and if not you can stream it below. The LP will come with a bonus disc, titled Luna, with the entire record remixed by RX Gibbs that puts a dubby spin on Snowbird’s featherlight creations. You can check out the video for the RX Gibbs remix of “Porcelain,” which makes its premiere in this post. 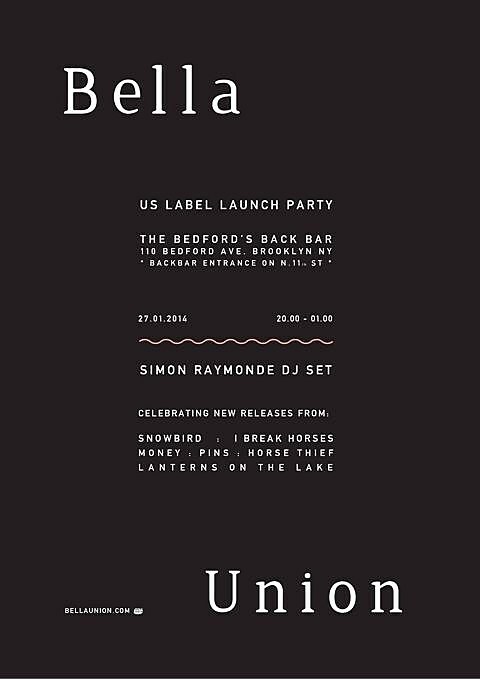 Bella Union up to this point has been a UK label but has just set up a US outpost that will be the official American home for Snowbird, I Break Horses, Lanterns on the Lake and more. Bella Union US will throw a launch party on Monday, January 27 at The Bedford in Williamsburg with Raymonde DJing in the back room. It’s free. Speaking of, Swedish duo I Break Horses release their second album, Chiaroscuro, this week and if you liked the shoegazy, ethereal dance music of their debut, the new album stays within that dreamy world of sound. You can stream the whole thing below (via the Hype Machine). 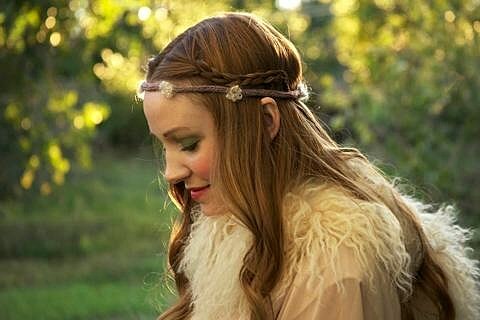 Lanterns on the Lake, meanwhile, released their second album last week (1/14) and their short North American tour will hit NYC in February.